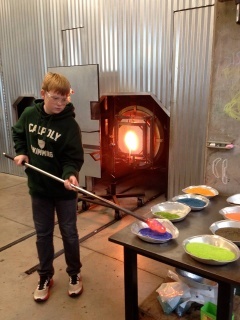 Get a taste of glassblowing while working with our skilled team of glassblowers to create your own piece of glass art! "Make it Now" slots are for one (1) person. If you are coming in a group each person needs to book a time slot. All supplies are provided and reservations are required unless specified as a walk-in event. Your project will be ready for pickup 48 hours later. Cancellation Policy: Students who withdraw 8 days (or more) prior to the start date of the first class receive a full refund less the $5 processing fee (if applicable). Students who withdraw 7 days (or less) prior to the start date of the first class DO NOT receive a refund of any kind. Note: Class discount codes DO NOT APPLY to Make it Now sessions. Get a taste of glassblowing while working with our skilled team of glassblowers to create your own glass piece in 20 minutes or less! All supplies provided. Reservations are recommended. Your piece will be ready for pick up 48 hours later. Come in and choose between a Flower, Heart or Vase. Get a taste of glassblowing while working with our skilled team of glassblowers to create your own bubble bowl in 30 minutes or less! All supplies provided. Reservations are recommended. Your bowl will be ready for pick up 48 hours later. 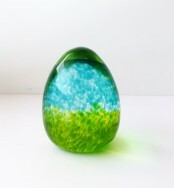 Get a taste of glassblowing while working with our skilled team of glassblowers to create your own glass egg in 20 minutes or less! All supplies provided. Reservations are recommended. Your egg will be ready for pick up 48 hours later. Get a taste of glassblowing while working with our skilled team of glassblowers to create your own glass apple in 20 minutes or less! All supplies provided. Reservations are recommended. Your apple will be ready for pick up 48 hours later. Get a taste of glassblowing while working with our skilled team of glassblowers to create your own glass starfish in 20 minutes or less! All supplies provided. Reservations are recommended. Your starfish will be ready for pick up 48 hours later. Get a taste of glassblowing while working with our skilled team of glassblowers to create your own sea float in 20 minutes or less! All supplies provided. Reservations are recommended. Your float will be ready for pick up 48 hours later. 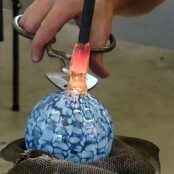 Get a taste of glassblowing while working with Merrilee Moore to create your own Squizzle in 30 minutes or less! Get a taste of glassblowing while working with our skilled team of glassblowers to create your own blown glass pumpkin in 20 minutes or less! All supplies provided. Reservations are recommended. Your pumpkin will be ready for pick up 48 hours later. We are currently SOLD OUT on all Make it Now: Pumpkin dates. Please check back for cancellations or call 425-259-5050 x 35 to inquire about private parties for groups of 6-11. Click here for more information. Get a taste of glassblowing while working with our skilled team of glassblowers to create your own blown glass ornament in 20 minutes or less! You get a choice of a round ornament with solid color, stripes or dots or a teardrop ornament with solid color, stripes or dots. All supplies provided. Reservations are recommended. Your ornament will be ready for pick up 48 hours later. Get a taste of glassblowing while working with our skilled team of glassblowers to create your own glass paperweight in 20 minutes or less! All supplies provided. Reservations are recommended. Your paperweight will be ready for pick up 48 hours later. Get a taste of glassblowing while working with our skilled team of glassblowers to create your own glass heart in 20 minutes or less! All supplies provided. Reservations are recommended. Your heart will be ready for pick up 48 hours later. Get a taste of glassblowing while working with our skilled team of glassblowers to create your own glass flower in 20 minutes or less! All supplies provided. Reservations are recommended. Your flower will be ready for pick up 48 hours later. 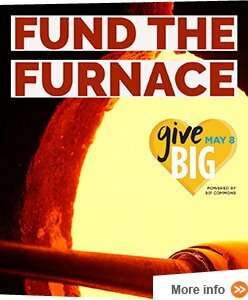 Try new techniques during this 30 minute experience, and see what it's like to work on a skilled team in the hot shop. You'll take home a more complex and larger design than our regular "Make it Now" sessions, made by yourself and two skilled makers. All supplies provided. Reservations are recommended. Your supersized piece will be ready for pick up 48 hours later. Try one of these 30 minute experiences and see what it's like to work with a team in the hot shop. 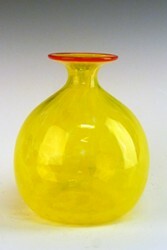 You'll take home a larger design than our standard "Make it Now" sessions, made by yourself and two glass artists. 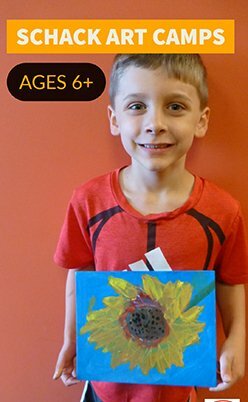 This is a unique experience offered at the Schack Hot Shop. Two (2) people will have an hour to complete two Valentines themed drinking glass, OR work together in creating a large flower vase. This is a chance to do something fun and completely out of the ordinary with that special someone! Make a beautiful and functional pint, or stemless wine glass with two skilled glass artists. Supersized! St. Patty's Day Glass! Come wear green in the Hot Shop for St. Patrick's Day this year. 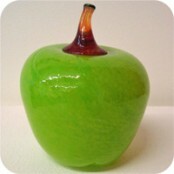 Make a hand made St. Patty's day glass with two skilled glass artists that you'll enjoy for years to come! 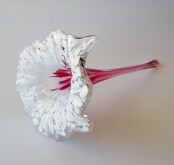 Get a taste of glassblowing while working with our skilled team of glassblowers to create your own blown glass flower attached to a copper stake in 30 minutes or less! All supplies provided. Reservations are required. Your flower will be ready for pick up 48 hours later. Get a taste of glassblowing while working with our skilled team of glassblowers to create your own float on a copper stake in 30 minutes or less! All supplies provided. Reservations are required. Your float will be ready for pick up 48 hours later.